My first salary negotiation was for my very first paying job. 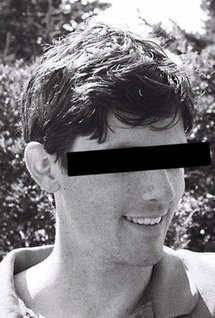 I was 22. I had already been an intern at the organization for a few months, and the executive director called me into her office, where we sat on uncomfortably high stools around a very small table. She said that she was happy to offer me a full-time, salaried position and told me the salary. It was not much money, but it was a salary and a title (my first other than “intern”) and I was thrilled. I knew that I was supposed to negotiate, probably from listening to my family talk about work. But had no idea how to do it, and felt extremely awkward. I think my boss did too. I remember feeling like we were dueling with our eyes closed, both too scared to look at the damage we were causing. I remember saying something about how I had expected the salary to be higher and she agreed, offering a slightly higher number. I readily agreed. We could uncover our eyes. I had increased my salary by a couple thousand dollars. Lesson: Negotiations are not comfortable. It’s ok that they aren’t comfortable, just be prepared for it. Sitting through awkward silences is a killer tactic. When I left that job for my subsequent job, I didn’t negotiate. At all. I remember standing in an empty private office at the job I was leaving, speaking on the phone with the president of the company at my future job. He was very matter of fact. “You will be paid this per hour, which comes out to this annual salary. Including benefits, it comes out to… which is a very good amount for someone with your level of experience.” I knew that I wasn’t supposed to accept on the spot, but I had no idea how to ask for more, especially since his offer was already a lot more than I was making and I was desperate for a new job. I told him that I needed to think about it, and he said that I should get back to him as soon as possible so that he could let other candidates know. I called him back the next day to accept. I later learned that there were no other candidates and that he doesn’t like negotiating and really does think his offers are fair. Lesson: Different people have different attitudes about negotiation, but it never hurts to ask. My next negotiation was more of a freak out than anything else. I had been working at this company for over a year and was I was enjoying the work and my level of responsibility. The company had regular annual raises and promotions, and my boss had pulled me aside beforehand. As we walked around the block in the residential neighborhood where the office was located, he let me know that I wasn’t going to be promoted because I hadn’t been in my position for long enough, and that I could expect a promotion in another 6 or 12 months. This sounded reasonable to me when we talked about it, but when I got the email that listed all of my coworkers who were getting promoted, I was upset. I felt that everyone around me was being promoted, while I had just taken over a big project and had gotten nothing. Instead of dealing with this calmly, I exploded when my boss later stopped by my desk to tell me what my raise was that year. I don’t remember what incoherent words tumbled out of my mouth, but it definitely involved something about how I would have been making more if I had been promoted. To his credit, he didn’t get defensive. He recognized that I was upset and said that he would follow up with me later. We exchanged a few emails (where I explained myself more rationally), and he ended up giving me a slightly bigger raise (and I was promoted six months later). Lesson: Don’t freak out. Or do, it works sometimes, but I can’t say that I recommend this tactic in a professional environment. When I was hired for my current position, I had some advantages over my younger self. I was older and wiser than I’d been in the past; I had read quite a bit on negotiation (some favorites are listed below), and I’d taken a negotiation class in graduate school. The class was actually on consensus building for public policy, but it was full of negotiation strategies that can apply to salary, too. More than age, what made me really wise was that the organization posted a salary range with the position description, so I knew what numbers were reasonable. To prepare, I watched some videos from Ramit Sethi, borrowed my friend Rebecca’s book, and talked strategy with friends. I made some notes about why I thought I should be paid more, writing down some specific phrases that I could say. I found the phrases “I would be more comfortable if…” and “it would make this a really easy decision for me” very helpful. The negotiation was with an HR person, and ended up being a few nerve-wracking rounds of phone tag and two conversations over a couple days. I really wanted this job, but decided in advance that I could go through two round of negotiations. She first offered me the bottom of the salary range, and I countered with some reasons that I thought I deserved a higher rate, while also affirming that I was really excited about the job and the organization. I didn’t give a specific number, but generally asked for a higher salary. I also asked about vacation, hoping for more paid time off, but this wasn’t up for negotiation. She returned with a slightly higher value, and I again said that, while I was really eager to take the position, that the salary made it a hard decision for me. I was prepared to sit in silence on the phone or to defer, but wasn’t going to accept the amount on the spot. I think I was pretty repetitive in this conversation, but I didn’t budge. She went back to confer with others to see what the budget would allow, and in the end, she offered me $10,000 increase in salary over her initial offer, which put me in the middle of the salary range for the position. I was thrilled, and still am. Since joining the organization, I’ve learned how hard it is to get a raise or promotion, so I’m very glad that I negotiated when I joined. Lesson: Preparation is invaluable. I got so nervous (read: sweaty) during this negotiation; it was extremely helpful to have a few arguments and phrases written down that I would go back to, including a delay tactic. It’s alright, and sometimes even advisable, to postpone and give yourself time to regroup. Most interesting job you’ve ever had? I would say the most interesting moment in my recent career was when I was hired at my previous job and got the opportunity to design and develop my own game. I happened to join at a good time when they’d just received a lot of investment money and were looking to create interesting content for a new online world. Every new hire was asked to pitch and build a game. I had a few ideas I’d fleshed out a little bit, and there was one was the most obvious choice. That idea became Corpse Craft. It was totally unexpected and exciting. Least interesting job you’ve ever had? Working as a dishwasher. That was torture. 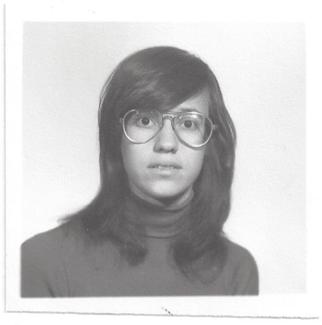 A girl who wore glasses, circa 1970. When the show Mad Men first premiered, I couldn’t watch it – not because I didn’t think it was well done, but because it captured a little too perfectly what it was like for women working at a large New York corporation in the 1960s. I began my career in 1967, and watching the show brought back memories of my own years of internal struggle, of learning how to be assertive and not defer to men. It was a difficult time to be a woman in the workforce.